Nothing screams romance more than a sunset cruise along the Cape Peninsula, sit back with a glass of sparkling wine, loved one by your side, and let your troubles and stress float away as the sun goes down. Leaving the world famous V&A Waterfront, this sunset cruise will take you down the Atlantic Seaboard along the beautiful Southern Cape Peninsula on an ultra-luxurious catamaran. You can sit back and relax with a complimentary glass of sparkling wine as you float along the water and experience the city and it’s lighting from a different perspective, with Table Mountain being the perfect backdrop. 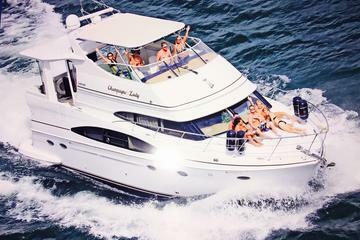 Summer is definitely the time for this Cape Town boat trip, the warm weather and the sun setting late makes this a brilliant way for families to end off a day of adventure, or for couples to enjoy a romantic evening out at sea. Booking is essential, especially in the Summer months, and you will receive your confirmation immediately. 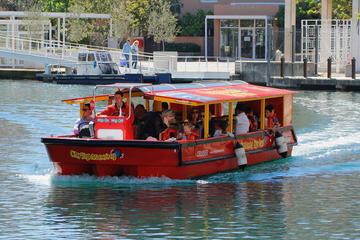 The cruise is also child friendly, allowing families and friends, young and old, to all enjoy this incredible boat ride. If you are looking for a private adventure, maybe a romantic boat trip for two, look no further than the below tours. Some with Champagne included, you are guaranteed an evening to remember. Experience the sun setting over the Atlantic Ocean from a luxurious catamaran as you absorb the breathtaking views of the majestic and iconic Table Mountain. The trip is brilliant for families and friends looking for some relaxation time, and couples who want to enjoy a romantic evening together. Had such a lovely evening. 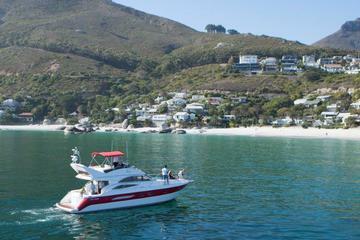 From the moment you leave the harbour, the views of Cape Town’s mountains and beaches are incredible. We saw dolphins in the distance, major highlight for me.